The purpose of this guide is to provide Honors students with important information regarding graduate school. The guide outlines the various steps one should take to be a successful candidate for master's and doctoral programs. Additionally, our Honors advisors are available to assist as you consider whether graduate school is right for you. Therefore, do not hesitate to stop by our offices if you have any questions or need additional advice about the graduate school application process. The Burnett Honors College has also partnered with the College of Graduate Studies to offer walk-in advising regarding graduate admissions processes at UCF. 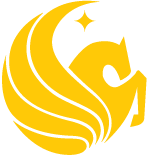 An Admissions Specialist with the College of Graduate Studies will be present in the Honors suite (Room 248) of Trevor Colbourn Hall each weekday from 1-3 PM to provide information about graduate study at UCF and answer any questions you may have about the graduate admissions process at our institution. Please stop by! Intellectual curiosity: Graduate school is for training in research. It is the training ground for the top notch professionals and researchers in a field of study. In fact, all Ph.D. degrees, regardless of discipline are research degrees. It is for people who love research, scholarship, and teaching for their own sake and for the difference they can make in society. It is not for people who simply want more undergraduate courses. It is not for people who are in a hurry to get a real job. And, it is not for people who simply want to make a lot of money. Indeed, the eventual goal of many doctoral students is to get a job as a college professor, or perhaps as a researcher in the private sector or government agency. Professional advancement/development: Graduate school provides advanced opportunities for creative expression in the arts or in research. This will, in turn, open up new opportunities at higher levels of responsibility in business, government, and the nonprofit sector. In today’s increasingly technological world, the jobs in the work force are becoming more complex. Consequently, an advanced degree may mean the difference between routine paper shuffling jobs and policy making positions. Whatever your reason may be, it takes a great deal of commitment and self discipline to pursue a graduate degree. Choosing the right graduate program will allow you to experience a lot of interesting, rewarding, and very busy years in grad school. There is also no question that you will meet some of the most interesting and intellectual people ever! Most universities provide detailed information regarding their graduate programs on the Internet. Browsing though university web sites will allow you to narrow down the number of graduate programs that you are considering. Before you begin the application process, we strongly encourage you to look at the graduate program requirements to determine if the application process will be worthwhile. You can also learn more about the various graduate programs offered by UCF at http://www.graduate.ucf.edu/. The GRE, like the SAT, is an aptitude exam designed to measure basic skills and knowledge in English and Mathematics. Both exams are developed and administered by the same company, Educational Testing Service (ETS). Among all the factors graduate schools consider for admission, your GRE score and your GPA are perhaps the most important. Just as you need to take the SAT to get into college, you need to take the GRE to go to graduate school. The math and verbal portions of the two tests are virtually identical, and there is also a writing section. The general test measures verbal, quantitative, and analytical writing skills that have been acquired over a long period of time and that are not related to any specific field of study. For more information about the GRE, go to www.gre.org. If you have questions about preparing for the GRE exam, please contact Brandy Blue in the Office of Student Services in BHC 110 or at brandy.blue@ucf.edu.